Gender discrimination suits against two of the largest fire departments in the nation were recently settled in Chicago and New York. The Chicago Fire Department lawsuit related to lack of transparency in scoring the physical ability test required as part of the entrance exam. The case in New York vindicated women that were not afforded the same opportunity as male counterparts to advance past the rank of lieutenant in the Emergency Services Division. These are but two examples of high profile cases that occur in cities and fire departments across the country. The Bureau of Labor reports that approximately 306,000 persons are employed as career firefighters. Women account for about 11,000. The U.S. Department of Labor Women’s Bureau statistics shows that women earn 80.9 percent of what men earn across all career fields. In research conducted by Kathleen Weaver as part of the Executive Fire Officer program, Florida is second in the nation at promoting women into officer positions. Of the 775 officers in Florida, there were only 16 women at the level of battalion chief or higher. Women are underrepresented in the fire service, paid less and not promoted as often. Within the fire service in general, it was found that the number of women at the executive level (battalion chief or above) is very small. According to the National Report Card on Women in Firefighting, women only account for 2.6 percent of chiefs of fire departments. In fact, the International Association of Women in Fire and Emergency Services reports about 150 women at the battalion or deputy chief level and 24 female department chiefs. Covert, or subtle, gender biases occur as well. A study on gender biases in the workplace at UMass Lowell, Umass Worcester found that in terms of equally qualified men and women, subtle gender bias resulted in stereotyping, lowered performance and lessened sense of belonging among women in the workplace. Allowing these biases to exist may create a perception of inequity. In her book, Human Resources Management for Public and Nonprofit Organizations, Joan Pynes, defines equity theory as when an employee feels they are undervalued due to the perception of an unequal ratio of input and output as compared to other employees and as a result that employee may feel constant internal tension. Employees expect fair treatment in the workplace and are motivated by a sense that their contributions are valued the same in comparison to coworkers. Based upon equity theory, unequal treatment may cause lower motivation and also lower performance. There are specific ways in the fire service that inequity may occur as related to gender. 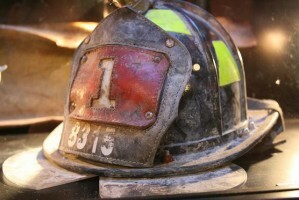 One way, as reported in the 2008 National Report Card on Women in Firefighting, is inherent in fire department culture. It is the idea that firefighting is a noble occupation fraught with danger and that only the most courageous need apply. The description refers to internal structural firefighting, which is a smaller portion of emergency response. The subtlety in language is what Pynes would describe as a second-generational bias—the perception that women are too feminine, emotional or friendly. These descriptors are incongruent with perceived leadership traits such as self-confidence or assertiveness. Bias may also occur in performance evaluation. According to Pynes, assessors may not be aware of their bias when conducting evaluations. In contrast, Swanson and Foster state in the 2010 Handbook of Human Resources Management in Government that those being assessed may complain that the evaluators were favorable to other employees that were liked. Other subtle forms of bias include exclusion from informal workgroups, conversations or networking opportunities. In his April 2014 monthly contribution to On Scene, the newsletter published by the International Association of Fire Chiefs, President Bill Metcalfe deemed the fire service to be a “white guy’s club.” Continuing on, he challenges leaders in the fire service to embrace diversity and explains that it is an area that received attention in the past, but has fallen in importance recently. Ways to increase these numbers include cadet or explorer programs targeted toward high school age females, information sessions, and mentoring female candidates as proposed in a 2006 paper commissioned by the International Association of Firefighters. Interestingly enough, some females do not take advantage of educational or networking opportunities, Shanna VanNess writes in her Huffington Post blog. It is important for women to take advantage of things within their control regarding professional development and professional networking. In the fire service, these opportunities include joining professional organizations such as the International Association of Fire Chiefs, volunteering to work on labor management committees, or requesting permission from fire management to attend courses at the National Fire Academy. Some women realize that time demands at executive levels impact family and personal lives in ways they are not willing to accept, Nancy Lockwood reports in her 2004 article entitled The Glass Ceiling: a Domestic and International Perspective. Therefore, they self-select out of that career tract. This may be true for women in the fire service as well. In the fire service, equity issues did not begin with starting salary, but compound in promotional opportunity. Research shows that it is difficult for women in the fire service to break through the glass ceiling. However, there are proactive measures to combat this. Human resource and fire service leaders need to focus on the areas of recruitment, training and promotion. Lockwood and Pynes suggest steps should include guiding recruitment efforts in ways that are attractive to females, training employees on sexual harassment and zero tolerance policies, ensuring promotional processes are transparent and objective, and examining workplace culture to target behavior that negatively impacts diversity. Fire chiefs are challenged by President Metcalfe to look at their own biases, determine the current emphasis placed upon diversity and organizationally embrace diversity as well as encourage mentoring of female supervisors wanting to move up the chain of command. Female fire chiefs, especially, should mentor other females in the fire service as well.